The CW has released new poster art and a new trailer for Supernatural Season 13. 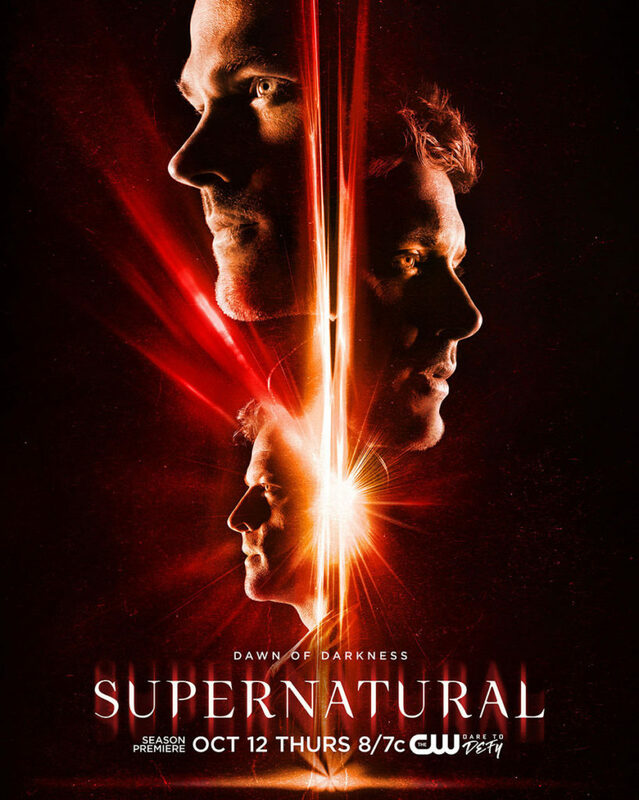 The CW has released some poster art to promote the upcoming 13th season of Supernatural. Supernatural Season 13 premieres Thursday, October 12 at 8PM ET/PT on the network, and stars Jared Padalecki, Jensen Ackles, and Misha Collins are all represented in the artwork. Check it out, and beneath that, find a new trailer that was just released by The CW tonight! The exciting journey of the Winchester brothers continues as SUPERNATURAL enters its thirteenth season. Sam (Jared Padalecki) and Dean (Jensen Ackles) have encountered every kind of supernatural threat, facing down monsters, demons, and gods. Saving people, hunting things, and keeping the world safe. In the show’s twelfth season, the Winchesters were reunited with their long-dead mother, and joined forces with the British arm of the Men of Letters. But things turned from bad to worse, with the return of Lucifer and the surprising revelation that the Devil is expecting a child. Now, Sam and Dean find themselves facing a creature of almost unimaginable power… one that could save the world… or destroy it. SUPERNATURAL is from Warner Bros. Television in association with Wonderland Sound and Vision, with executive producers Robert Singer (“Midnight Caller”), Andrew Dabb and Phil Sgriccia.